If I was to suggest one recipe that you make from this blog, this would be it. Remember those caramel chips I used in the biscotti? Here is yet another amazing way to use them. 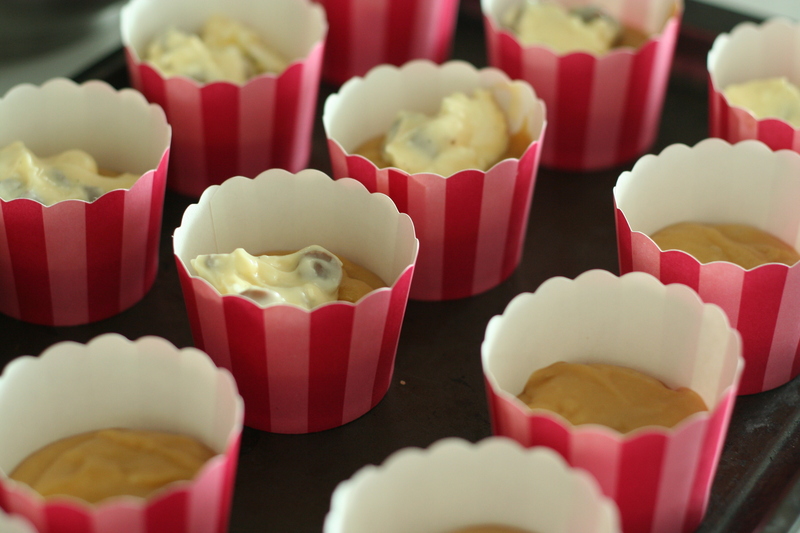 Inspired by the traditional black bottom cupcakes, which are usually made with chocolate cake and chocolate chips, these little treats are full of caramel goodness. The base is a rich mud cake that truly tastes of caramel and would be delicious baked into a large cake on its own. The smell of the batter is rich and inviting and very hard to avoid tasting! Top that with tangy cream cheese and caramel chips and you have a decadent cupcake that is hard to resist. When I first made this recipe I was skeptical they would turn out as nothing ever works as well in life as it does in your mind, but these do not disappoint. They were such a hit that we ate most of them in a day and my mum has been nagging me for the recipe for months. They also have the added bonus of being easy to transport, as there is no frosting to worry about ruining. I was lucky enough to be sent some vanilla pods recently and the addition of one of these to the cream cheese frosting was an indulgent treat. If you don’t have access to one or just can’t justify spending the money, feel free to use vanilla extract. My biggest tip for these very simple to make cupcakes is to ensure you don’t overfill the cases. The cake does rise quite significantly and if you have too much filling you will get overflow (and lose most of the cream cheese). 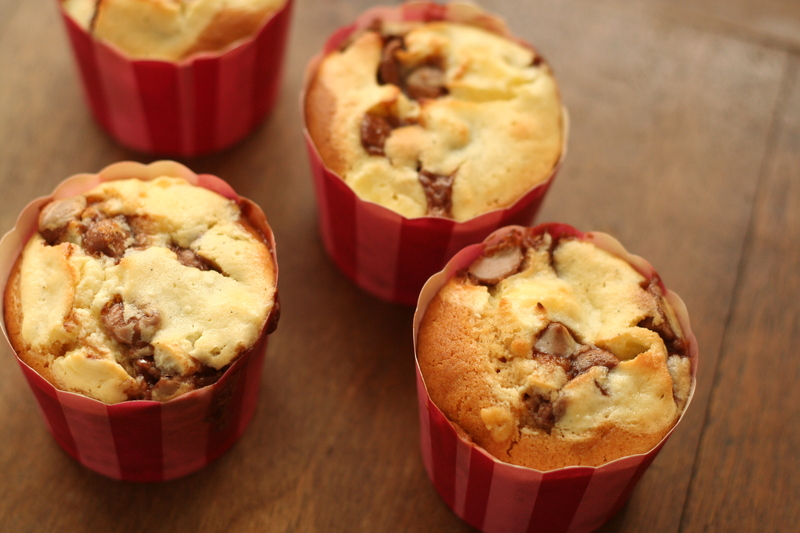 Also be careful not to over bake them to ensure a moist cake and prevent drying out the cream cheese topping. The best advice I can give you? Eat one warm from the oven. I promise you, you will thank me for it! Preheat the oven to 160° and prepare your cupcake cases. In a medium saucepan place the butter, chocolate, sugar, hot water, vanilla and golden syrup. Over low-medium heat melt together and using a whisk, stir to combine. The white chocolate may take a while to dissolve, just keep stirring. Set aside to cool to room temperature. Once cooled add the egg and whisk thoroughly. Sift in the flour and baking powder in small batches, whisking between each addition. The batter should change from a dark caramel colour to a lighter butterscotch. 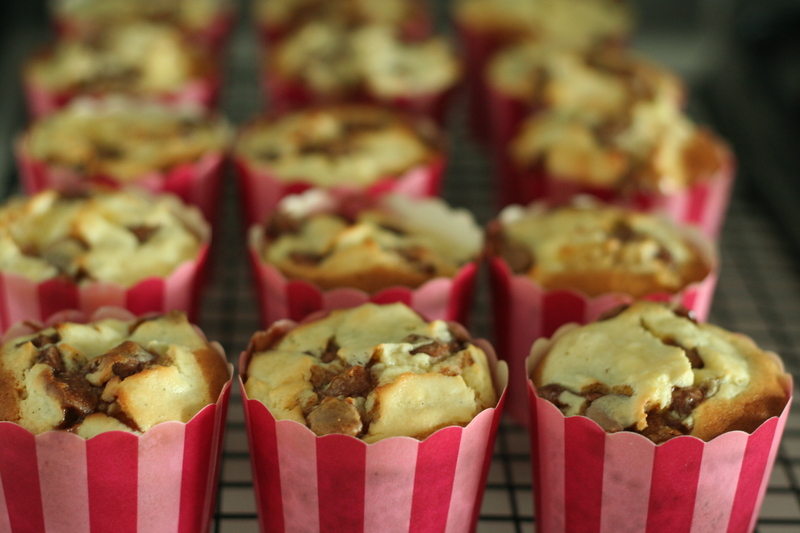 Ensure the flour is completely mixed in and has no lumps before spooning into the cupcake cases. As warned (and I speak from experience) don’t fill further than half way. In a small bowl beat together the cream cheese, sugar, egg, salt and vanilla on medium speed. I like to leave my mixture with a few lumps of cream cheese but you can process it until it is smooth if you’d prefer. Stir in the caramel chips, then spoon a teaspoon or so of mixture onto the caramel cake bases. Bake in the preheated oven for 20-25 minutes or until the cream cheese is firm and lightly golden. 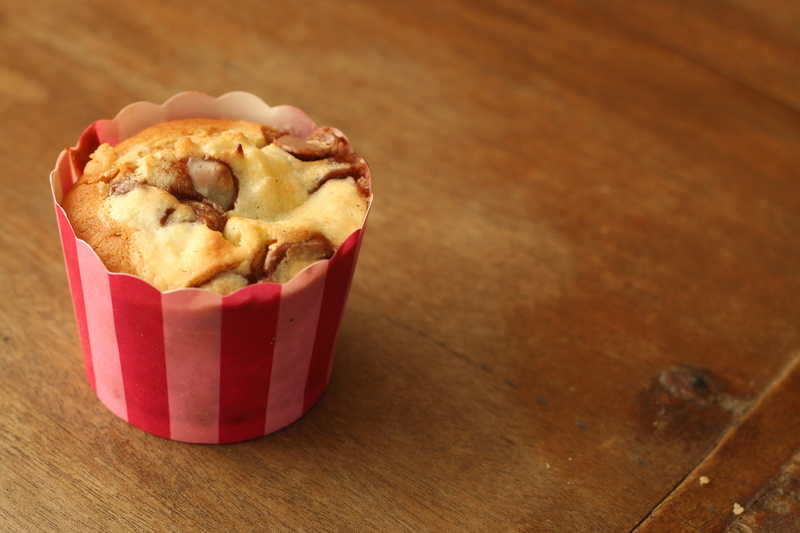 mm caramel cream cheese… also, love your adorable cupcake papers! OMG! These sound soooo yummy! Must try! I just realised that my new blog layout is the same as the one you have here (: you have gorgeous photos I’m jealous of your very nice lighting! is it sunlight or are you using a lightbox? No, I don’t use a lightbox, I’m just very lucky to have a well lit apartment and a good lens on my camera. Still working out how to use it properly though! These are so cute! I like how there are so many layers to them. Your cupcakes are very amazing! I wonder if i can do that too! Wow! These sound so decadent 🙂 Cute papers, too! You are giving me a serious caramel craving!! What is the brand of those caramel chips? I must get some now! Also love the cupcale paper liners! Thank you! They’re Nestle Caramel Bits. I found them in the baking section of the supermarket. Besides these amazing recipes, I’m in love with your cupcake papers? Where do you find them? Adorable! Thank you! I actually buy them from a local market in Melbourne but you can usually get them in cake specialty stores. I also totally adore these wrappers. I haven’t seen any like them here in the UK though, so I will just have to admire from afar! Holy cow, these sound AMAZING! Yummo, I will definately try these! Where did you get those cute papers? 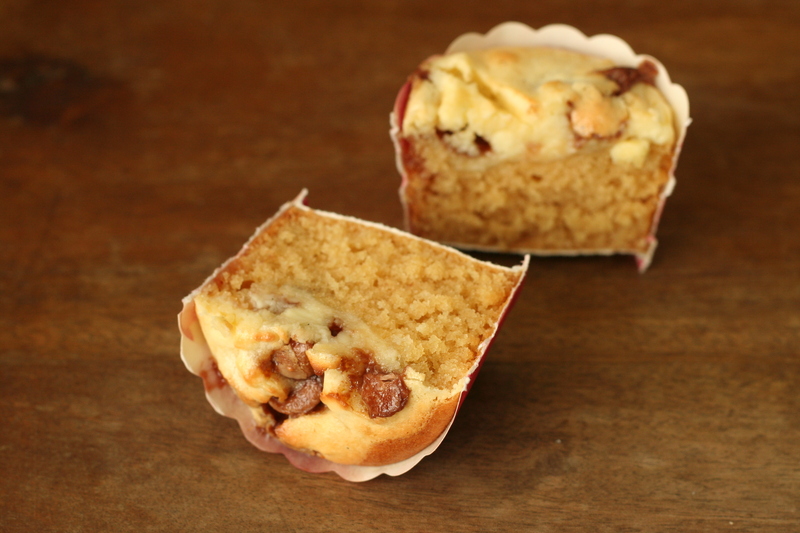 I buy them from a market in Melbourne but you can find them at specialty cake stores. Thanks for following my blog!!! These cupcakes look so delicious! I love Australia. I lived there for 4 months when I did a study abroad in college. I stayed in North Sydney and miss being there every day! Great recipe…especially with fall quickly approaching here in the northern part of the USA. Warm caramel and cool weather seem to go together. I had to pin this — looks so cute and delicious! These look delicious and what a delicious presentation…love the cases too! Caramel AND cream cheese in one dessert? So decadent. So good. 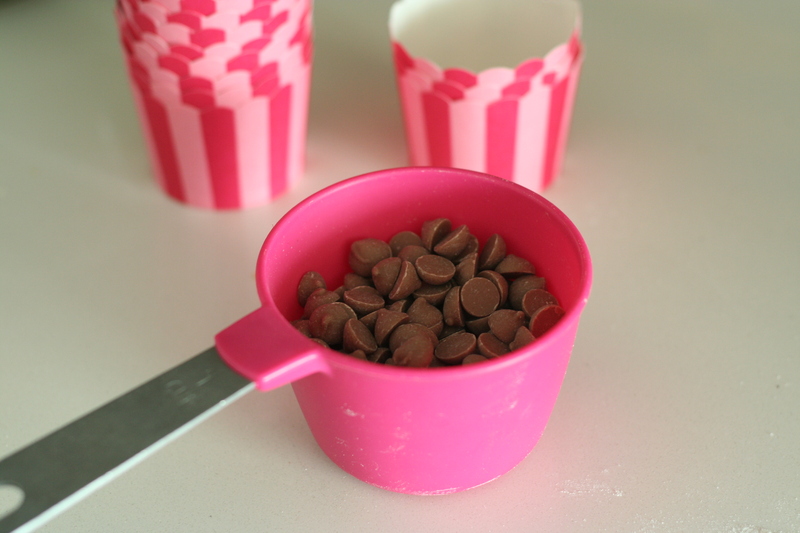 I am totally making these!! !